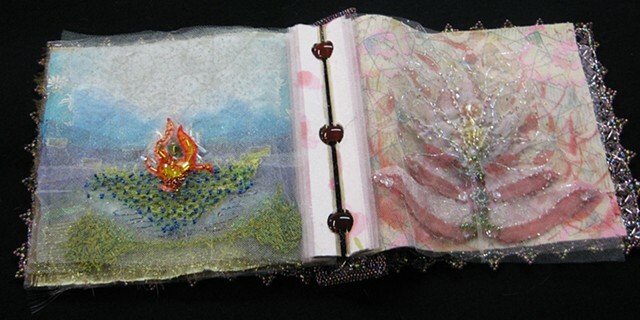 7.5" X 8" X 2.5"
This is the first of the beaded covered books. Two small quilts are at the beginning and end and embroidered tulle pages create images front and back. Forward to the you tube video and watch the entire book.